Gums are the pink protective tissue that covers the bony structure of our jaws and parts of the roots of our teeth. Normal gums hug firmly around our teeth but diseased gums do not attach to our teeth due to inflammation from bacteria. If not treated, a person could suffer from loss of supporting bone and teeth. Gum treatment controls and stops this process. Periodontics is the branch of specialty dentistry that deals with the treatment of gum diseases and the other structures around the teeth and jaw bones. Gum treatments aim to control and stop gum disease. These procedures include scaling and root planing, gum surgery, crown lengthening, dental implants and gum grafts. Our dental specialist/ dentist will find out the details of your medical and dental history, go through a consultation and examination and take a digital X-ray of your teeth to enable a thorough and detailed diagnosis. Gum disease is always best prevented. 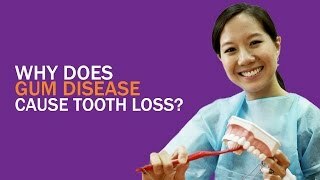 However, if it has already caused destruction, treatment usually addresses the calculus accumulation and oral hygiene techniques to halt the disease. The goal of treatment is to promote the reattachment of healthy gums to teeth and to stop disease progression. Simpler procedures usually take about 30 minutes. More complex or extensive ones may take up to 2 hours. Depending on the severity of the gum problems, occasionally 2 or more visits over several weeks are required. Most of the time, patients are able to return to 99% of normal daily activities within a few hours after the procedure. Depending on the type of gum treatment, one may complete treatment with placement of functional dental restorations (for example, an implant crown), or be required to follow-up on more intensive sessions until healthy gums are achieved. As a general rule, once patients are cleared of gum disease, regular maintenance will be sufficient. This includes flossing, brushing, and regular dental check-ups and maintenance every 6 months. *All fees are subject to 7% Singapore Goods and Service Tax. Medisave does not apply to gum treatment generally, but may apply for crown lengthening, gum grafting, gummy smile treatment, sinus lift procedures and the surgical component of dental implant treatment. Specialist Dental Group’s Gum Treatment Grafting Team comprises of internationally qualified dental specialists/ dentists from the specialty areas of periodontics (gum treatment). What are the Types of Gum Treatments? Treatment options depend on the stage of disease and how one responds to earlier treatments. Certain procedures such as dental implants are definitive and end with placement of a functional dental restoration. Other procedures such as scaling and root planing should be continued every 3 to 6 months to maintain healthy gums. Scaling refers to careful cleaning of the teeth and gums to remove plaque and tartar. Everyone should have a good professional dental cleaning every 3 to 6 months. Root planing is required when tartar (calculus) is deeply entrenched and there is a separation of gums from the teeth. This is the beginning of tooth loss if left untreated. Local anaesthetic is used to numb-up sections of the gums for thorough cleaning, especially when there is a significant separation of gums from the teeth and pockets of space form around roots. Gum (periodontal) surgery is recommended when there is a significant separation between the gum and the teeth (deep pockets). Such deep pockets are difficult to access for thorough removal of calculus and disinfection. In this procedure, the gums are carefully reflected aside to reveal the true extent of infected calculus.Sometimes, the shape of the bone around the infected teeth is shaped to speed-up healing. In other cases, the bone and periodontal (gum) tissues can be re-created via Guided Tissue Regeneration. Gum grafting enables a new piece of gum tissue to be placed over the exposed root to restore the gum tissue back to its original form and position. This stops the tooth from further wear and tear at the root area, which helps maintain stability of the tooth.Tissue from the palate (roof of the mouth) will be used as a graft and transplanted onto the recipient area. The gums around the recipient site (the exposed root) are gently lifted away and the graft material is secured in place with fine sutures approximately the size of a hair.The grafting procedure takes about an hour for a small area and a proportionately longer time for wider areas.For more information, please visit our Gum Graft page. Dental implants are man-made titanium surgical screws that are placed in the jaw bone to replace the root of the missing tooth. A healing period of several months is needed for the implant(s) to bond with the jaw bone. Finally, the implant crown will be fitted.For more information, please visit our Dental Implant page. I have heard that unhealthy gums can lead to other health problems. Is this true? My gums bleed frequently. Can you help? 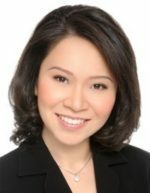 Media Coverage – My Paper: Singaporeans know the importance of oral health yet lack knowledge about it?